The main challenge of writing a collection letter is to demonstrate good customer relations, even if the customer or vendor is delinquent. After all, your company still has an identity to uphold, and it's possible the invoice request could have been lost, hence the reason for no payment. Not likely, but anything is possible. So this article will focus on the stages an accounts receivable department or company head can move through to collect payment through polite and direct correspondence. What Does "Dunning Letter" Mean? 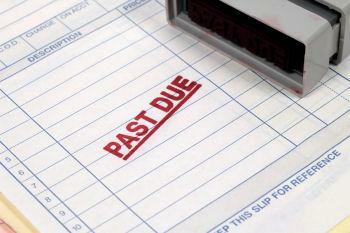 According to Webster's, the word "dun" means "to ask a debtor repeatedly for payment." The investment site Investopedia.com defines "dunning letter" as "The process of communicating with customers to ensure the collection of accounts receivable." Laws varying from state-to-state dictate the process of requesting payment. However, at no time is harassment acceptable. If repeated letters to a debtor hasn't resulted in payment, it's time to send the account to a collection agency. Address the contact by name or with a Dear X. Reference the product or service purchased. Reinstate the terms of payment/sale, such as "Net 30" or "Due Upon Receipt." Express the precise date and method payment is due. Provide a "live body" for contact and questions. State these variables in a firm but polite way. It's also a good idea to attach a copy of the original invoice. Remember, anything could have happened to the invoice or, for that matter, the customer. How you've written the collection letter will support your case if further action needs to be taken to collect on the debt. 21, 2006 and shipped on July 22, 2006.
contact Amy Montgomery on our toll-free number of 800-567-8734. If there's a need to send another reminder letter, usually two weeks after the due date on the first letter, the tone can be more firm, especially if the debtor didn't make contact. review the original invoice and first payment request. are more than 45 days due incur a 20 percent penalty. Please note the new amount due below. October 30, 2006. Your usual check payment will be fine. hesitate to call if you have questions. Unfortunately, sometimes writing a collection letter or two isn't enough, and that's when it's time to turn the account over to a collection agency or small claims court. If you choose to pursue account reconciliation on your own, experts recommend writing another letter that outlines the desire for both parties to remain in good standing with an exchange of products or services, while at the same clearly defining the penalties and further costs incurred because of non-payment. If it deal comes down to letting a collection agency pursue the debtor, write another letter in the format above alerting the debtor to the impending action and giving them one more chance to settle the debt with you.